“Last report was 8 years ago by Tim G. By golly, it’s in our backyard, and backyard is where I dialled this – leaving behind my sleeping bag mattress, bug net, camp stove and tent. Michael proved that you can purchase carefully vetted, off-brand items online that are quite good. His ultralite 8 peg, single pole, low profile wedge tent with interior bug net and floor was impressive. I went with 8×10 SilTarp and light GoreTex bivy. Tamara was sporting MEC’s first ultralite 2 person tent, the Spark 2, weighing in at about 1.5 kg. Its brilliant colours and transparency effectively make it a night lantern. 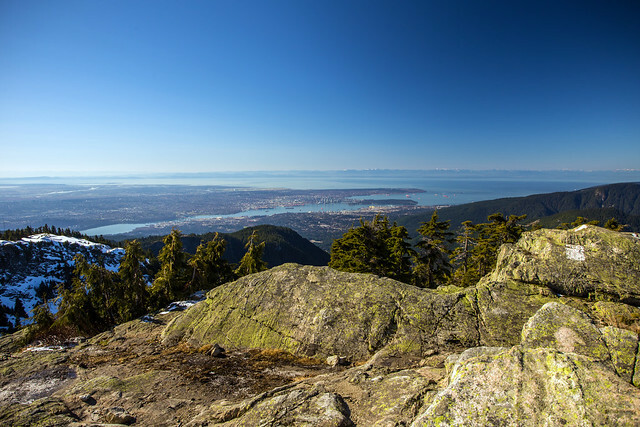 The lake hike begins with the ease and familiarity of a hike to Brockton Point on Mount Seymour. Just before the ascent to Pump Peak, the trail suddenly digresses east towards Theta Lake. This is the beginning of a rad series of changing micro terrain. The first half follows a cirque-like feature below Runner Peak – a steep 300-m descent through boulder fields, rockfall and a narrow rock-filled gully. The second half is a more genial 300-m descent some of which is through beautiful arboreal forest some of which reminded me of Miyazaki’s anime forest scenes. BC Parks has a well maintained hut on the north east shore of the lake. It sleeps about 9 in its loft, is surrounded by well established tenting spots and is out of reach of the shadow cast by Mount Elsay towering 600 m above the lake. The shallow lake itself is stocked with fish and was warm the day we were there.